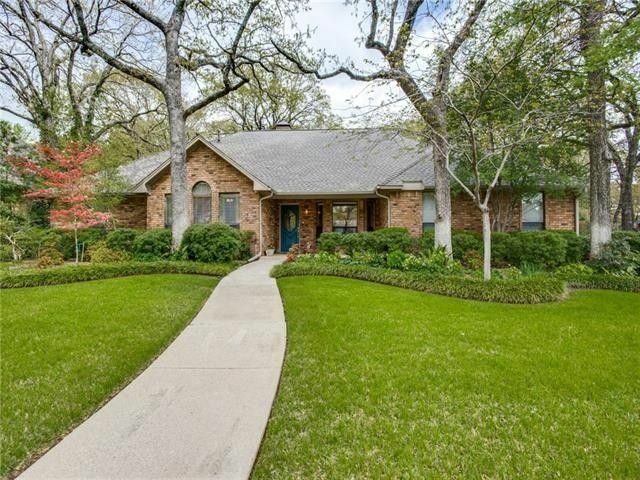 You'll love this updated Forrestridge single-story home in an oak-shaded park-like setting with a gunite swimming pool, cabana, huge flagstone patio & walkways, plus a big front porch. An easy flowing floorplan offers 4 bedrooms, 3 full bathrooms, 2 generous living areas, 2 dining areas & a separated guest suite with full bath. Granite countertops grace all baths & the big kitchen. Wood & Italian tiles cool all floors except bedroom floors. The large garage features a cedar closet, utility closet & workbench. Many walkin closets & the storage bldg provide ample storage. The resort-like backyard offers floral beds, wooded privacy & ideal entertaining space. Freshly painted & updated, this home is move-in ready! Exclusions: See MLS online list of sellers' exclusions.